About Creativity Unlimited, a business providing 3D modelling,illustration,graphic design. 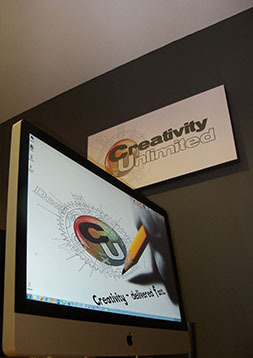 At Creativity Unlimited, we are a small, dynamic team with the skills and flair to deliver the innovation and creative value that our customers expect and deserve. We are far removed from the 'pretentious creatives' stereotype, being a down to earth, friendly and close working team. We never claim to know our customer’s business needs better than the clients themselves; we don't set inflated prices for our work and never release work unless we are 100% happy with it ourselves. Our working principle is one of straightforward honesty and approachability, which means our clients always know where they stand with us and with any work that we may have in progress. This ethos helps offset some of the 'detached' feeling which is often synonymous with remote outsourcing of work, and ensures our clients maintain control over any work being produced. For more information about individual members of our team, please click on any of the profiles above.